I’ll try and describe last night’s concert in the Frankfurter Hof. Georg Ringsgwandl is Bavarian with an impenetrable accent. Grows up dirt poor, learns the zither, suffers from TB as a teenager, giving him time to learn the guitar, goes on to study medicine, specialises in cardiology, works in America, returns to Germany, works as a senior physician in a hospital, is offered a senior consultancy and decides that what he really prefers is doing the music that he’s had as a sideline all along. It’s a theatre of the absurd, mixed with mime that’s reminiscent of Marcel Marceau, songs in the best tradition of political cabaret, hair-brained monologues underpinned by his zither and everything utterly politically incorrect. 06 Feb	This entry was published on 6 February, 2010 at 12:00. It’s filed under Altstadt, Culture, Mainz and tagged frankfurter hof, ringsgwandl. Bookmark the permalink. Follow any comments here with the RSS feed for this post. >This guy sounds like he borders on the genius…very versatile. Haven't heard a zither in years; friend used to play one. I would very much have liked to have been at this concert. >Sounds like a very entertaining show! 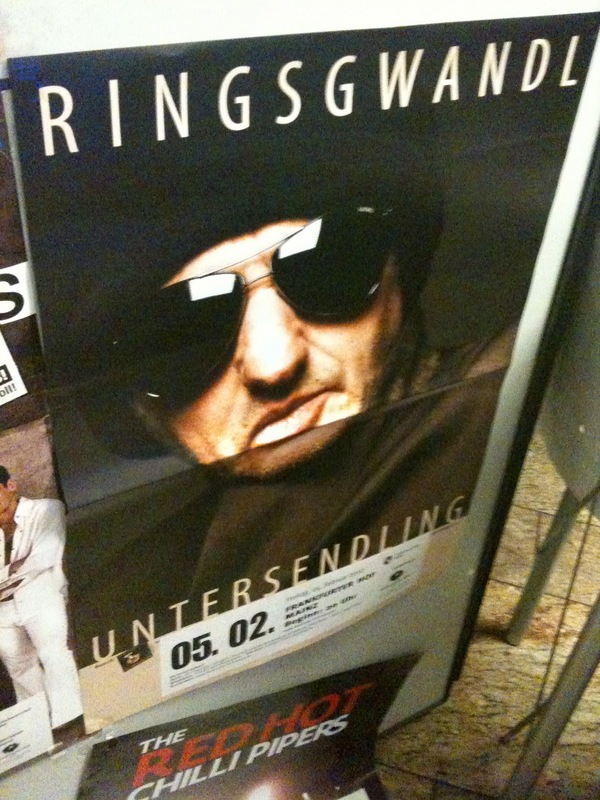 Ringsgwandl probably isn't making as much money as an entertainer as he might have as a doctor, or is he? But he's probably happier!